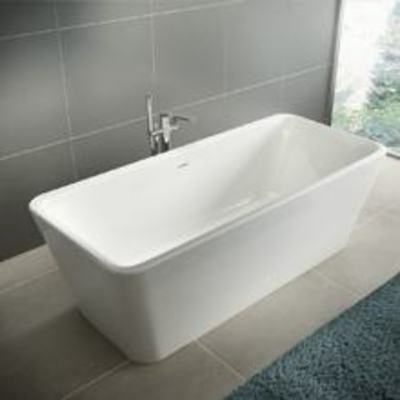 Rectangular shape is the most common bathtub shape. Designed to allow two people to bathe together by both ends of the bath having sloped back supports. The bath waste would be positioned in the middle of the bath. A bath designed with an enlarged showering area at one end. Corner baths are designed to sit flush in the corner of the room and can be a economical way to have a full size bath when tight on space. 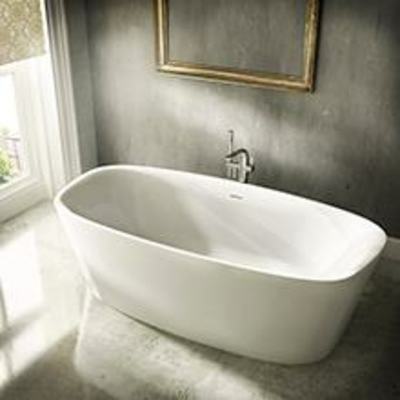 A freestanding bath is the ultimate in hotel style luxury. Designed to sit away from the wall, this style is a real focal point for a bathroom. Requires a free standing bath filler (standpipe). Asymmetric baths can match your different needs and desires. Our extensive collection of baths can satisfy a range of needs, from long relaxing soaks in the tub to a more multifunctional shower bath, to a spa like experience in a whirlpool bath.